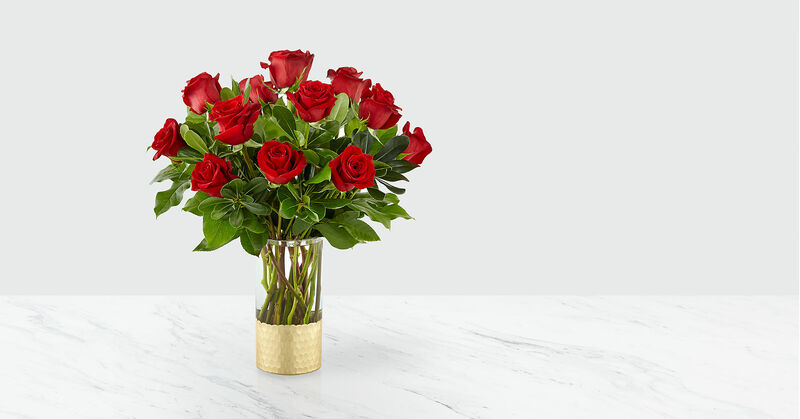 An elegant collection of deep red roses is perfect for saying, "our love is timeless," or "you are my favorite part of everyday". 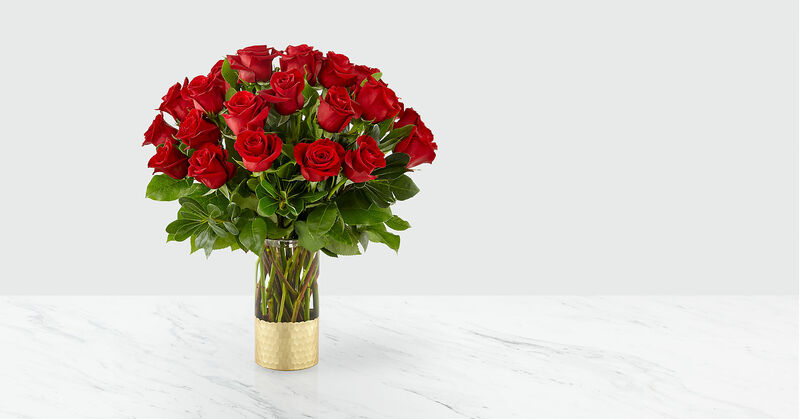 Set in a clear glass vase with a metallic gold, hammered honeycomb base and accented by luscious pittosporum and salal, our florists have created an arrangement of romantic roses that is a classic beauty for your darling. GOOD bouquet is approx. 18"H x 15"W. BETTER bouquet is approx. 19"H x 18"W.